EL TORO: Ry Cooder's new book captures lost L.A. neighborhoods, like Chavez Ravine. "How can you keep on moving unless you migrate, too?" So wondered Ry Cooder on his breakthrough album Into the Purple Valley, which once seemed retro and now sounds as timely as the nightly news. Thirteen albums later, Cooder is as legendary as the outlaws he sings about in songs such as "Billy the Kid." At 64, he's no longer the young guitarist in the studio who riffed with Mick Jagger, Bob Dylan and the Buena Vista Social Club. He probably shouldn't be starting a new career as an author, but that's exactly what he's done. Los Angeles Stories (City Lights Books; $15.95) is a collection of fine-tuned fiction paying homage to the city that Cooder loves and hates in nearly equal proportions, and that he knows neighborhood-by-neighborhood, street-by-street. "All the places and many of the people in the book are real, though I've changed some of the names," Cooder tells me at 8am in his home in Santa Monica, before his band arrives for rehearsal. "I should also tell you that the stories weren't meant to be published. I only thought about putting them in a book after Bob Dylan told me I had to have something to sell when I went on tour." Born in 1947, Cooder has lived in L.A. all his life, though he has traveled widely—to Cuba, to West Africa—as a performer and student of world music. He recorded his first album in 1970, played with Van Morrison, Neil Young, Little Feat, Captain Beefheart, Freddy Fender and others, and won Grammy awards in 1988, '93, '95 and '98. He always comes back to L.A., for better or for worse. 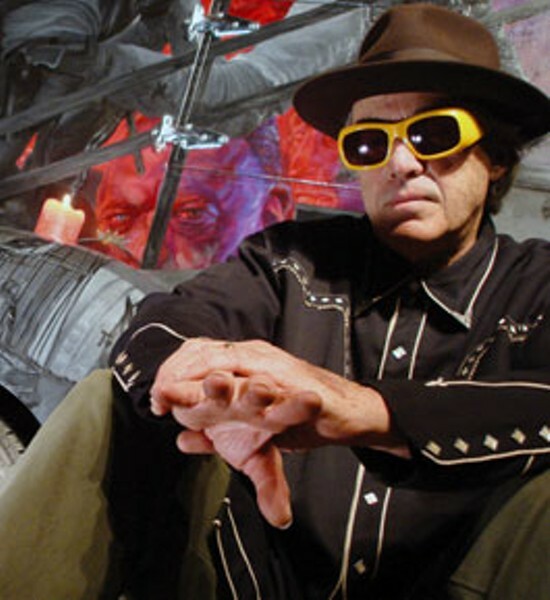 "Today, everything in Los Angeles is franchised, oversubscribed and homogenized," Cooder says. "Every surface is for sale. Most of the old neighborhoods don't exist anymore, and that's really sad. I miss the regional speech, the distinctive music, the clothes and the unique car cultures that vanished when the freeways came in and carved up the whole city. That was the end of the L.A. I knew and loved." For Los Angeles Stories, Cooder became an oral historian, a family genealogist and serious scholar. To gather the information he needed to flesh out his characters, he went to the L.A. Public Library, walked the streets, talked to relatives and sifted through his own memories. "I smuggled a 1941 map of L.A. out of the library and made a copy before I returned it," he says. "I also found an old city directory that listed my own family history. The deeper I dug into L.A., the more I remembered family stuff, including a spinster aunt who drank gin and smoked Pall Malls, and my dad who was a detective and solved real crimes. Probably the memories I treasure the most are those of a friend of my parents who gave me a guitar when I was four, and later introduced me to Woody Guthrie's music and the Depression-era photos of Dorothea Lange." All those memories and history bounce off the pages of Los Angeles Stories. Indeed, page after page, Cooder's Los Angeles seems more real than the L.A. of today. The lost neighborhoods of Chavez Ravine and Bunker Hill come to life, and you expect to meet his "taco-benders," "pachucopunks" and "bolero-jockeys" around the next corner. Cooder never was a Beatnik or a loyal fan of Kerouac and Ginsberg, but he admires the work of City Lights' founder Lawrence Ferlinghetti, and he's delighted to be published by City Lights. Moreover, he identifies with the hipsters—the cultural ancestors of the Beats—who loved bebop, hated TV and fled from the conformity of the 1950s. "TV ruined the thriving culture that once existed in L.A.," Cooder says. "Of course, I love those old noir movies, such as Kiss Me Deadly, Crime Wave and Cry Danger, in which L.A. is as beautiful now as it was then, and a wonderful city of dreams."